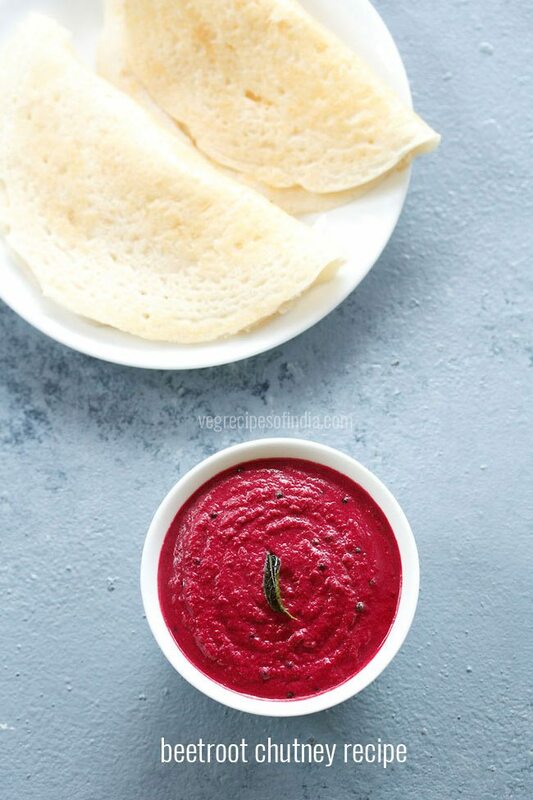 this sweet mango chutney recipe is a south indian chutney made from sweet and ripe mangoes along with coconut. 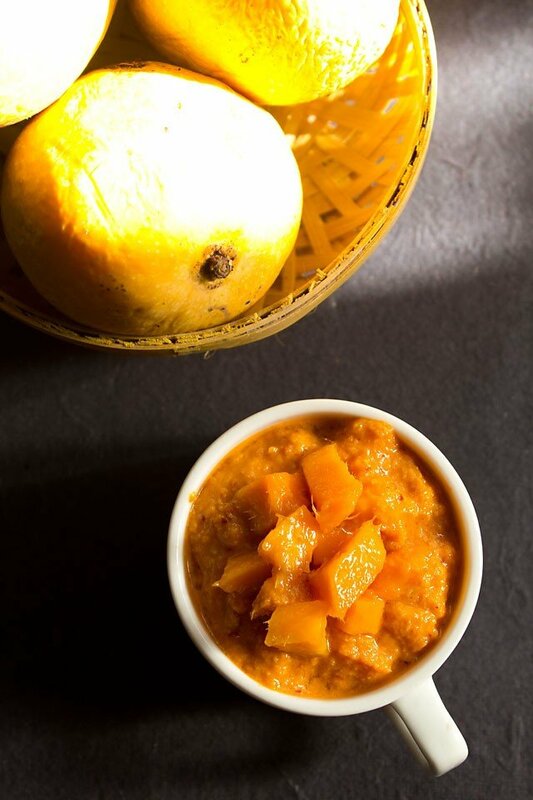 sweet mango chutney recipe – i am still addicted to mangoes even after the rains have started pouring here. today i made a sour raw mango chutney with those mangoes. 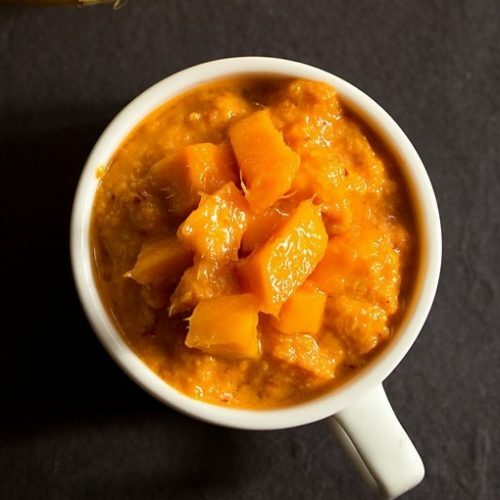 this quick mango chutney posted here is made from ripe mangoes. 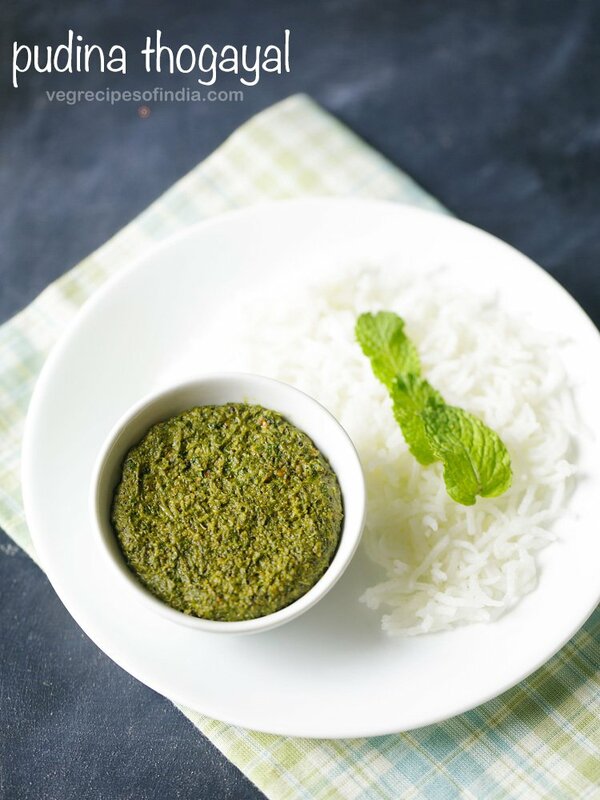 the sweet mango chutney recipe has been shared by one very regular reader of the blog – Lajwanti Shetty. 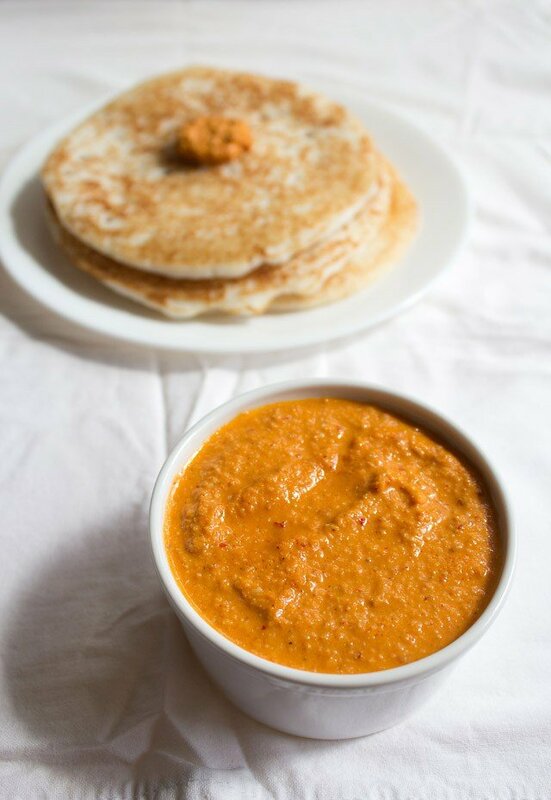 Lajwanti had sent me some quick recipes and one of them was this mango chutney. 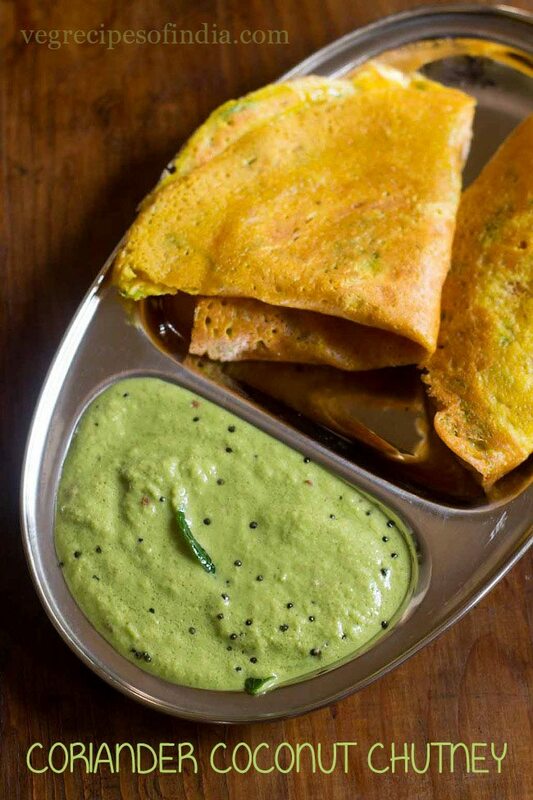 it is a south indian chutney made from sweet and ripe mangoes along with coconut. thanks Lajwanti for sharing the recipes. i have shared bengali style mango chutney recipe. this sweet mango chutney goes very well with dal-rice combination. 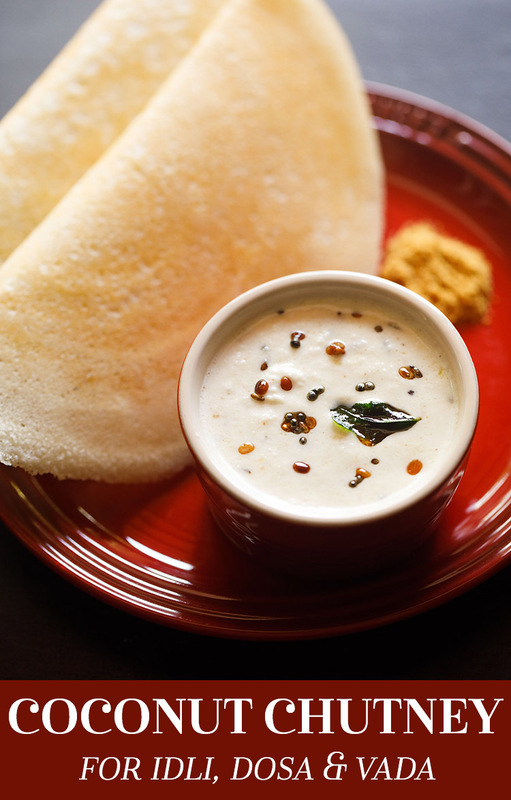 since it is sweet and made along with coconut it tastes good with idli and dosas too… not to forget we would have the chutney with phulka and paratha too. in fact you can just have the chutney directly. it is so tasty and good. in this chutney the mangoes are not blended or made into a pulp. if using large mangoes like alphonso than just peel and chop the mangoes finely. squeeze the juice from the seed into the chutney and add the chopped mangoes to it. if using the small and juicy varieties of mangoes, then peel, remove the seeds and just add the whole mangoes to the chutney and mix well. 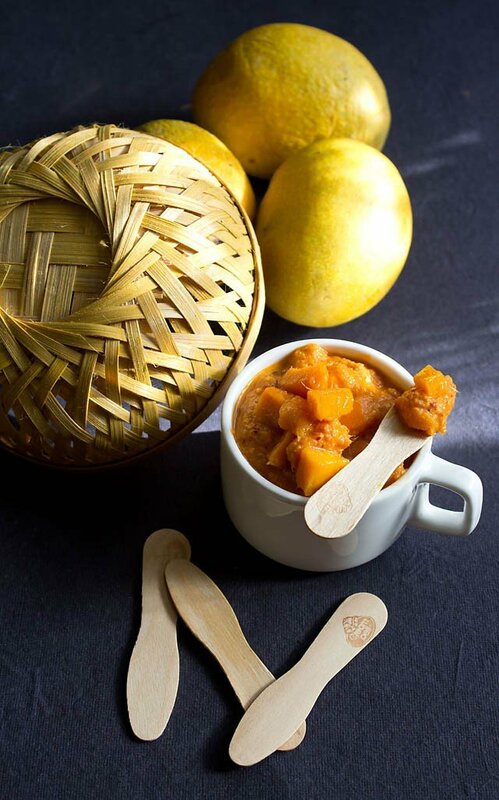 so if you still have access to ripe mangoes in your city or town, then do try this yummy sweet mango chutney made from ripe mangoes. grind the coconut, red chilies, garlic, jaggery, salt and tamarind to a fine paste with little water. remove the chutney in a bowl. taste and adjust the seasoning. 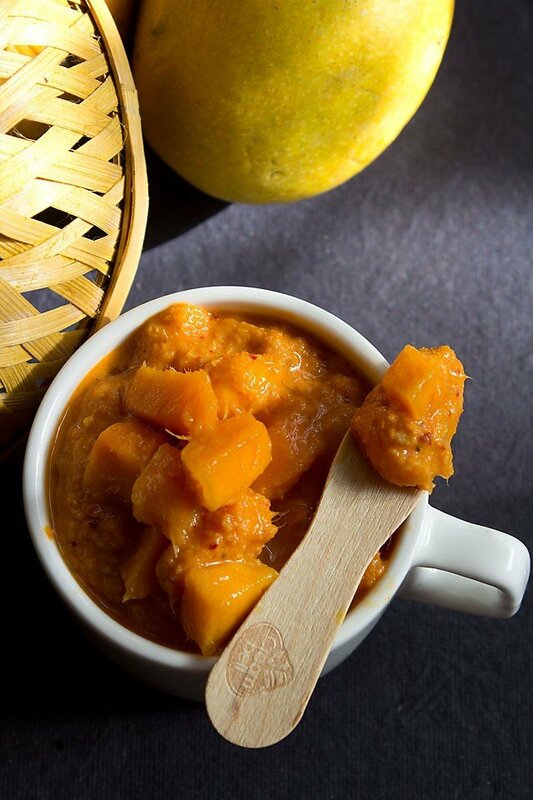 if using alphonso mangoes, then chop the mangoes finely and mix it with the rest of the chutney. if using the small variety of mangoes, then just peel these mangoes. and add them to the mango chutney. 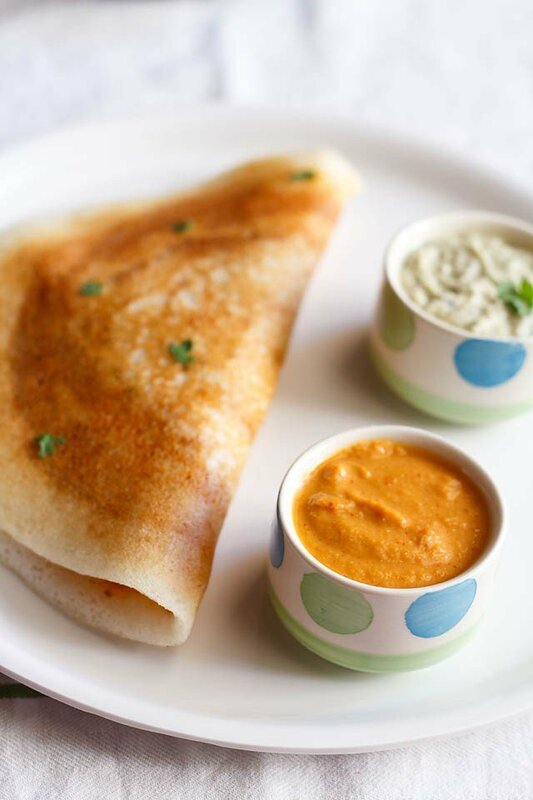 mix well and serve the sweet mango chutney with dal rice or idli, dosa or even parathas. reduce the number of chilies for less spicy chutney. if you don't eat garlic, then skip the garlic in the chutney. How Many days can we store the Mango chatni?? megha, about 1 day in the fridge. since coconut is added. there are a lot of recipes from mango on the blog. please use the search button on top to check the mango recipes. type the word “mango” or “mango recipe” and click on search. Gud to connect with you after so long. Thanx for giving me credit for the Mango Chutney, I have been reading your blogs regularly and must congratulate you for the fantastic photography and new look. i was wondering where you are lajwanti 🙂 same here and thanks. I am not a great fan of Mangoes, but I am just drooling over the pictures. I should give a try someitme. BTW can you please post some punjabi/gujrati green chilli pickle recipe. thanks shruthi. i will have to check with mil for some authentic green chili pickles that can be pickled without the sun. if possible i will post. Hi dassana your recipe really sounds yummy .I have never thought of making ripe mangoes chutney , will surely give it a try….. Thanks for posting such lovely and easy to make recipes. welcome muskaan and do try the mango chutney. Lucky you! Sigh for a nice mango! I have never had this kind of mango chutney before. Sounds really tasty. Hey, have never tried ripe mangoes with coconut and tamarind. Must be sweet and sour flavour chutney, loved the rich colour of chutney. it has a slightly sour taste as the sweetness of the mangoes and the jaggery overpower the tamarind. thanks kamala. my name is dassana not suzi. ahhh mangoeeeesss.. 🙂 we are still cold with no sight of sun of ripe and delicious mangoes:) i have to stay content with looking at pictures of mangoes ! the chutney looks yumm. Nice. This season we hardly had a good mango crop. So sad! this looks so delicious and I do have some ripe mangos that I need to use right away and the other ingredients too. I am going to give this a try. Thanks and have a lovely day. thanks suzi. you too have a lovely day.